Fight the ultimate war against the undead when the terrifying zombie thriller Day of the Dead: Bloodline arrives on Blu-ray (plus Digital), DVD, and Digital February 6 from Lionsgate. The film is currently available On Demand. A bold reimagining of the iconic George A. Romero film, Day of the Dead: Bloodline stars Sophie Skelton as a member of the military hiding underground to escape the undead monsters who have taken over the world above. With other survivors, she desperately searches for a cure to the zombie epidemic before it is too late. 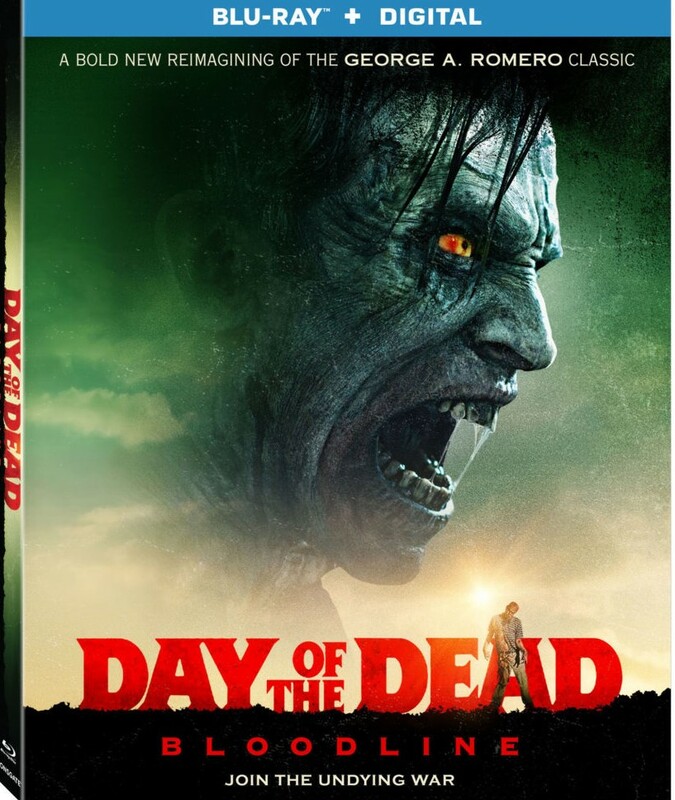 Also starring Johnathon Schaech and from director Hèctor Hernández Vicens (The Corpse of Anna Fritz) and writers Mark Tonderai and Lars Jacobson, the Day of the Dead: Bloodline Blu-ray and DVD will be available for the suggested retail price of $21.99 and $19.98, respectively. Fear goes viral in this terrifying retelling of George A. Romero’s zombie horror classic. Five years after an epidemic nearly wiped out the world’s population, Dr. Zoe Parker lives in an underground bunker among a small group of military personnel and survivalists, working on a cure while fighting armies of the undead. When a dangerous patient from Zoe’s past infiltrates the bunker, he just might hold the key to saving humanity . . . or ending it. Title Copyright: © 2017 Day of Dead Productions, Inc. All Rights Reserved. Artwork & Supplementary Materials © 2018 Saban Films LLC. All Rights Reserved.